The story of Noah's ark filled with animals, and the terrible flood that covered the earth, has always held particular appeal for children—and great fascination for artists. 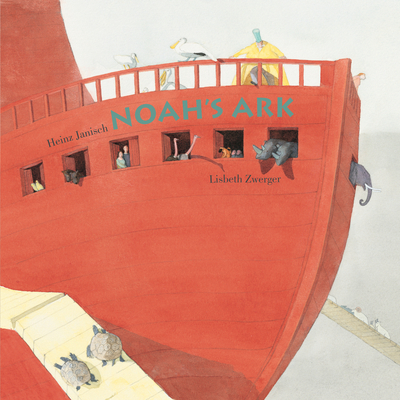 This retelling, faithful to the spirit of the Bible text, is graced with distinctive illustrations by internationally acclaimed artist Lisbeth Zwerger. Fanciful yet reverent, her full-page pictures and charming vignettes offer an imaginative interpretation of this favorite Old Testament story. Heinz Janisch was born in Austria in 1960. He was nominated for the 2009 Lindgren Memorial Award and the 2010 Hans Christian Andersen Award. Lisbeth Zwerger is one of the most highly regarded illustrators of children’s books and was awarded the Hans Christian Andersen Medal in 1990.